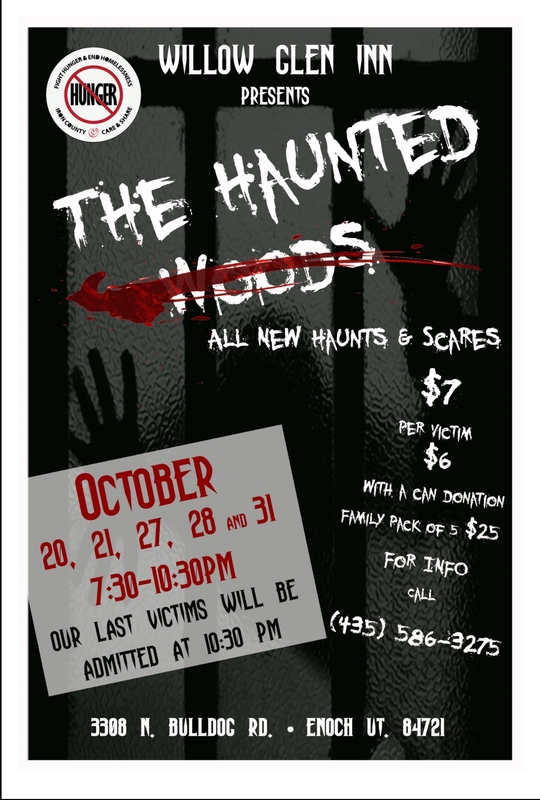 Willow Glen Inn presents the Haunted Woods October 20, 21, 27, 28 & 31, 2017 from 7:30 pm to 10:30 pm. Last victims will be admitted at 10:30 pm. All new Halloween haunts and scares! 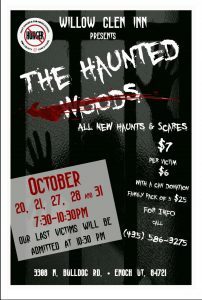 $7 per victim, $6 with a can donation (for Iron County Care & Share), family pack of 5 $25. This event has been added to the calendar.